I was thrilled when I received an invitation from Kris (OC Mom in Manila) to attend Raising Little Heroes: A Parenting and Self-Enrichment Program. Why won't I be excited? It is about parenting. Don and I attend parenting and marriage seminars and programs. My excitement doubled when I found out that One Core CEO and Life Coach, Ms. Pia Acevedo, will be our speaker. I will be with moms! I don't have a lot of mommy friends so I look forward to listening to their experiences and learning from them. 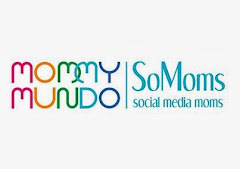 The moms I will be with are my fellow mom bloggers. It will be great to finally meet them. I immediately filed for a leave from work. My boss knows that I utilize my vacation leave credits for Julia's pedia visits and "mommy matter"s that I need to attend to, and that includes attending parenting programs. Progressive Parenting, according to Coach Pia, is defined by the openness and willingness of parents to understand, discover and implement new ways of parenting that adapts to the needs, situations and concerns of raising children in this day and age. Level of enthusiasm that we have when we are at home. Let your children know that you are happy to spend time with them. Give them your UNDIVIDED attention. There will be times when we need to give more time for work. How to deal with over inflated work balloon? Plan your activities and make a schedule. 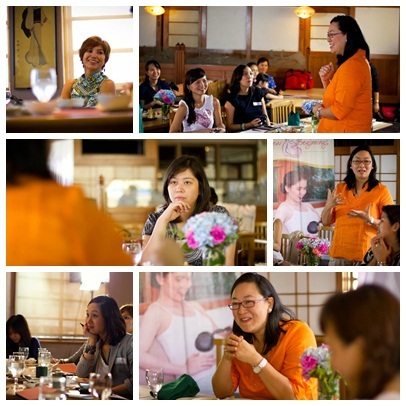 Communicate with other stakeholders (spouse, children, yaya, etc.) regarding the plan and schedule so that they can support you. Fact is, we cannot be face to face with our children all the time. Each day/week, it can either be quality or quantity time that we give to our children. It is not a question of quality or quantity. It is about giving 100% of our attention when we are we our children. It is important to plan our time with our children and stick to that plan. Quality and quantity time must be included in our schedule and it should be a priority. There are ways to spend quality time with out being physically present. Examples are phone calls, writing notes or letters, etc. Each child is unique and they respond to us in different ways. Using birth order as reference can help us understand our children better. Our own birth order and family background has an influence on how we parent our child. All parenting seminars I attended have one common goal: to help parents raise happy and responsible children. 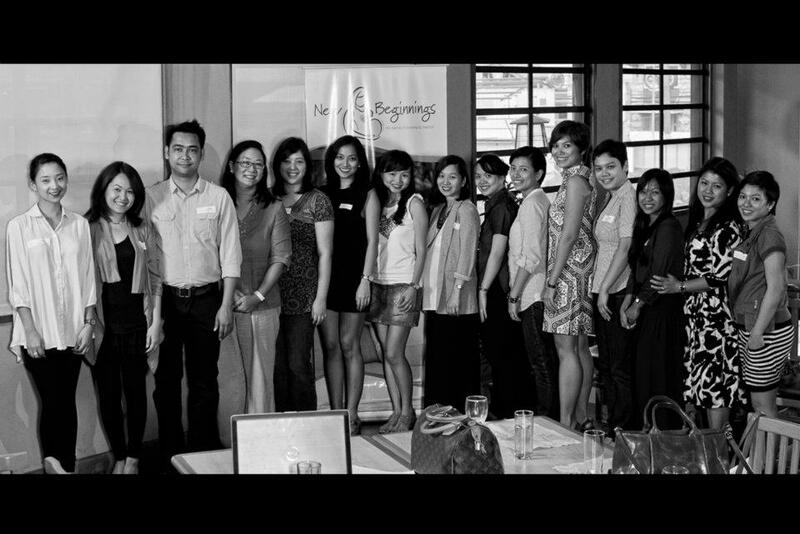 I am glad to be part of the New Beginnings Community and I look forward to our next learning session. As expected, it was time well spent. I learned a lot. 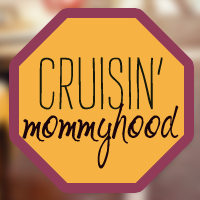 I had worthwhile realizations and of course, I met a lot of great moms! 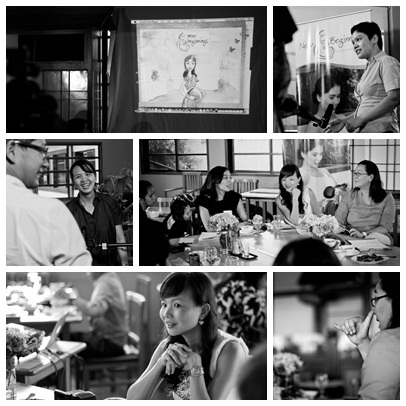 Chari (Your Brand Story), Jacqueline and Jiggs (Friesland Campina), Coach Pia, Anne (Green Eggs and Moms), Jackie (Go! Jackie Go), Tiffany (Breakfast with Tiffany), Christine (Manila Fashion Observer), Cheska (Young.Mom.Love), Kris (OC Mom in Manila), Rone (Mothering Earthilings), me, June, Tanya and Rainbow (Friesland Campina).